The Tahoe seems to get bigger and bigger every year. 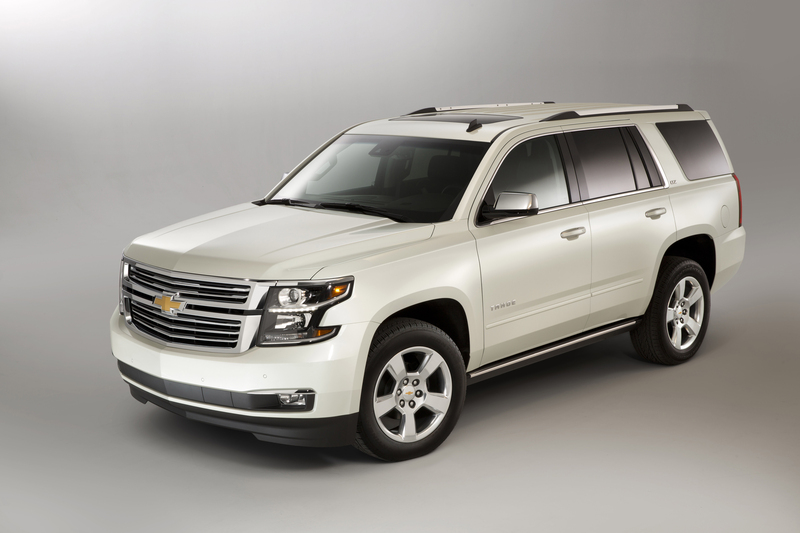 The 2015 Chevy Tahoe, while still a very large vehicle, is the smaller of the two SUV's offered in Chevy's 2015 product lineup. 2015 is the beginning of a new generation of Chevy SUV's, and with that come some impressive mechanical features. The LTZ comes standard with magnetic ride control which reads the road surface ahead and adjusts the suspension to give the most comfortable ride possible. Remember when we used to call these Blazers? Anyway, the pickup truck, I get. It's a great way for carrying junk and towing stuff. You can throw those old, dirty tires or gas cans in the back without worrying about messing up the soft parts of the truck. The Tahoe? Unless you're towing a big load and want/need enclosed carrying space, at some point we need to admit that they're for those who need a minivan but don't want to be seen in one. Yes, the Tahoe is big and comfy and carries a lot, but I'm still going to say that the minivan is the more practical choice for most people. Perhaps the minivan needs a better PR company.